Following the introductory remarks of Mr Peterle, Mr Lambsdorff and Mr Kılıçdaroğlu’s speech, the Q&A session / open debate was held under Chatham House rule. Last but not least, is the fact that 100% of the CHP electorate is in favor of a democratic constitution. The CHP electorate is keen on realizing strong and lasting social reconciliation and peace – with the Kurdish issue, at the top of the list. 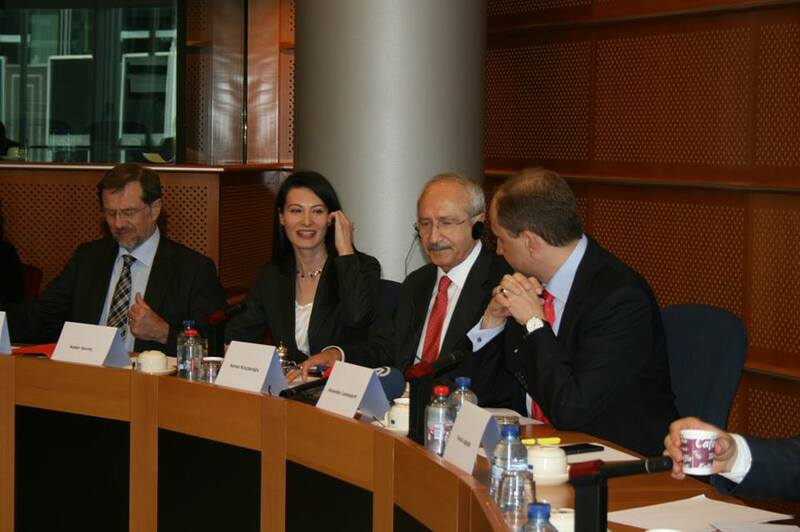 And most importantly, we need an EU whose politicians tell their own peoples that “Turkey’s democracy and social development are crucial for the future of Europe, making its EU membership essential.” I would like to thank you for giving me the opportunity to share my thoughts and messages in Turkish Coffee Briefings meeting in the European Parliament. 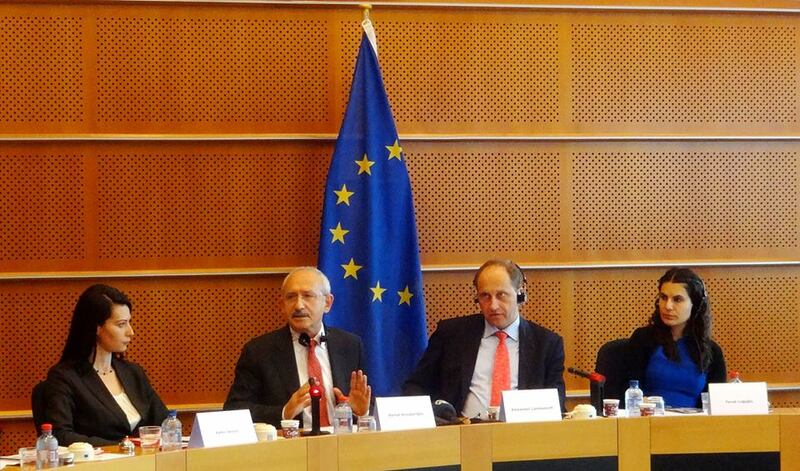 This entry was posted in Brussels, Europe, Turkey and tagged chp, european parliament, turkey, turkish coffee briefings. Bookmark the permalink.